Can I use an external amp to power the front mains, and leave the receiver handle other speakers (center, front heights and surrounds)? Yes, I do exactly that. Welcome back! You missed me, didn't you? Yep just run a pair of rca cables from the pre outs to the amp, then connect the speaker cable for the mains to the amp. Make sure amp is on and run audyssey. Proceed as usual! Now, I really need to pull the trigger on a new receiver ! How do you like your NR1608? I would grab the SR5012 in accessories4less if that's where you are looking. Or the DENON AVR-X3400H. 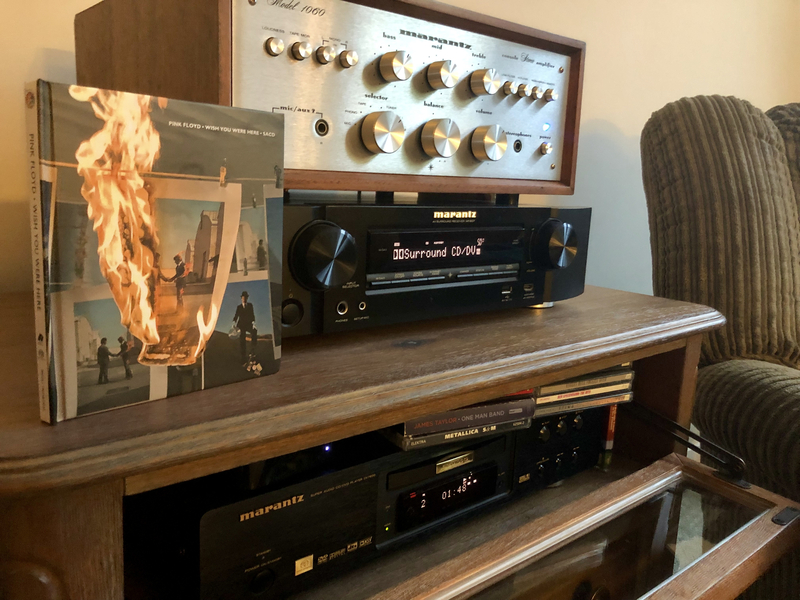 I had a Marantz NR for awhile in the bedroom rig, and while its great for what it is, moving up to the SR was a clear step up in sound quality. Of all the AVRs I've owned (and I have owned a lot), the Denon AVR-X4200w I am currently running in the living room is my fav, but marantz and yamaha also make really good AVRs. Basically find one that has the features you want/need, and preouts, and you should be golden. I love my NR1607 feeding pre-out to the ol 1060 using the L/R bypass and Direct settings for stereo listening. Works very well. I have tried feeding both the aux input and directly into the power amp of the 1060. I prefer the aux input and having a little more gain and tone controls to warm things up. Good stuff! Does precisely what I wanted/needed - allows for a separate amp to drive my main speakers, while handling the other three quite easily, and is slim enough to fit in my cabinet. I like that modern/retro combo! Howdy back at you, Jesse.